826CHI is calling on you to advocate for arts education in Illinois schools. The Illinois State Board of Education (ISBE) is now accepting public comments on how to value arts education in Illinois' Every Student Succeeds Act (ESSA) State Plan, a system of K-12 school accountability and support. We are calling on our community to voice your support here for a weighted arts indicator to the ISBE before the public comment period closes on February 6th. ESSA, the mandate that replaced No Child Left Behind in December 2015, is a system that measures the success of a school based on specific criteria called “indicators.” Under ESSA, states can look beyond test scores and consider holistic indicators of school quality and student success, such as English learner proficiency, school climate surveys, chronic absenteeism, and, as of a radical step made in by the ISBE in 2017, the arts. These scores are important in telling the story of how these schools are performing and shapes their opportunities for funding and other support. However, the arts indicator is currently weighted at 0% in this scoring system. At 826CHI, we witness the power of arts education every day. In our writing lab, we watch as through consistent literary arts education, our students grow academically, socially, and emotionally. We know arts education prepares students to succeed in school, in the professional world, and in life. Research from Americans for the Arts has shown that students who participate in the arts demonstrate improved academic performance and lower dropout rates. Low-income students who are highly engaged in the arts are more than twice as likely to graduate from college as their peers with no arts education. Schools and employers rank a degree in the arts among the most significant indicator of a job candidate’s creativity and innovation skills. As educators, we know the arts teach students innumerable lessons. Last week, the Illinois Arts Indicator Work Group, a diverse, statewide work group of policy, education, and arts education leaders, presented its recommendation to the Illinois Board of Education that this weighting change and offered a method for measuring their proposed arts indicator. In developing its recommendation, the Illinois Arts Indicator Work Group conducted the most comprehensive analysis of statewide Illinois arts education data in history. Their proposal is to weigh the new arts indicator at five points, or five percent, starting as early as possible: School Year 2020–21. The arts indicator measurement would consider student participation in arts courses, the quality of arts instruction, and student voice. The measure also adjusts for schools that have fewer arts resources, providing them with opportunities to raise their scores through the arts. Thus, the arts indicator would be the only indicator to adjust for school resources and would help Illinois’ system be more equitable. 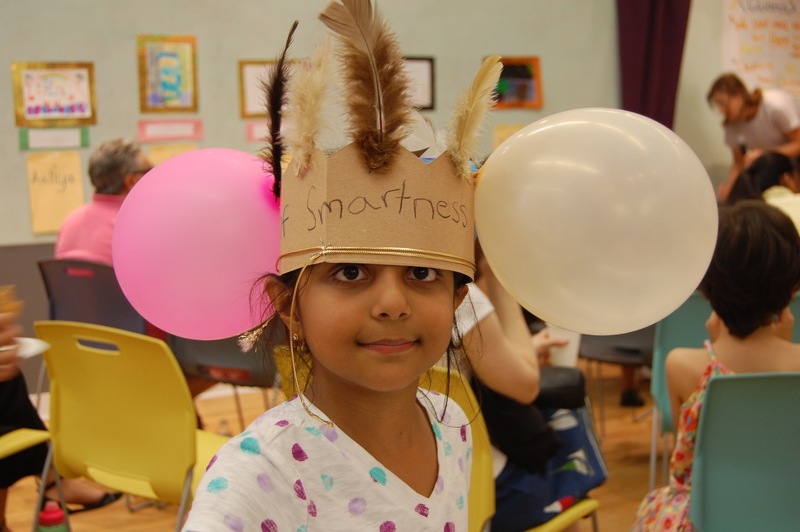 Through the arts indicator, schools can tell a fuller, more diverse story of their success. The full Arts Indicator Recommendation Report can be found here. Help Illinois make history as a pioneer in arts education. Please join 826CHI in voicing your support of arts education across the state by advocating for the Illinois Board of Education to adopt the Illinois Arts Indicator Work Group's suggested measures. Our partners at Arts Alliance Illinois have created this easy online form that will allow you to easily send a message directly to ISBE. We encourage you to personalize the message to make your voice more impactful. It only takes a minute, and voicing your support of a weighted arts indicator could help provide students across the state with access to arts programs.